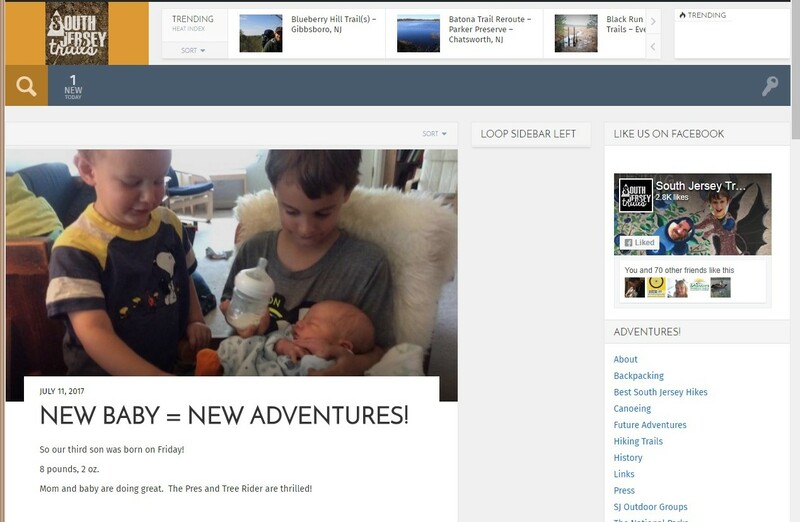 ← New baby = new adventures! Still the same http://southjerseytrails.org/, but now that link will take you to our new, fancy page! Still some bugs being worked out in the new page (fixing them is going slow… you know, new baby), but should offer a new and improved experience!